Congratulations to Hannah Patterson 9BI who came first in the Novice Tri School League at the Meadows Equestrian taking part from September to December. Well done to Hannah and Ladybug for their tremendous effort and of course her Mum who braved the elements to take her every time. Fabulous victory for Hannah and for Saintfield High School. 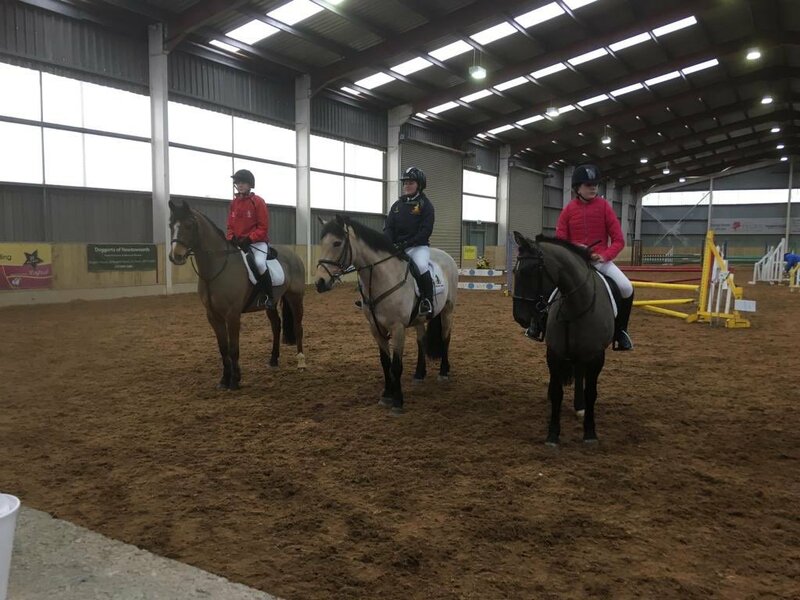 Well done to Hannah Patterson (9BI), who came 3rd in the Novice Individual competition at Gransha Equestrian on Saturday 12th January.